If you're going to visit Dublin and you enjoy a pint of Guinness, then you'd be a fool not to visit the famous Guinness Storehouse to experience the best tasting pint you will ever try! You will discover the unique story of how Guinness came to be, and how it grew into the multi-billion pound empire that it has become. 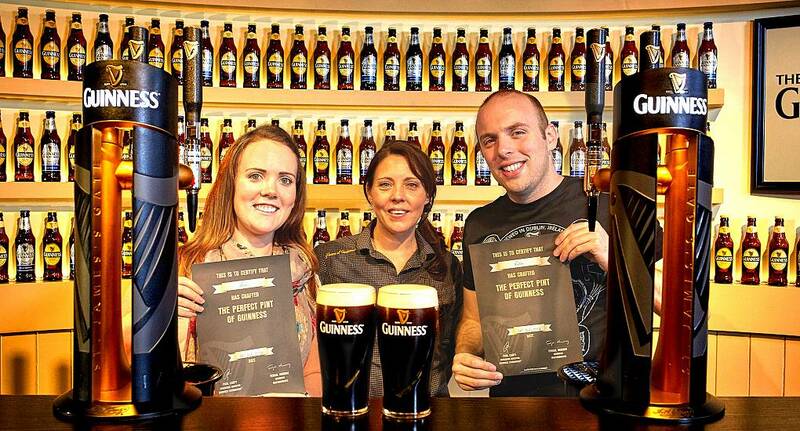 As well as learning about the history and manufacture of the famous drink, you will also learn how to pour the perfect pint - and, once successful, you will be awarded with a certificate to prove that you have the necessary skills! Afterwards, why not relax with a pint in the famous Gravity bar, which gives you unbelievable views over the whole of Dublin.